Playing it safe is one of the pitfalls of menswear. After all, it’s easy to ace an outfit when relying on the same patterns, fabrics, and palettes you’ve resorted to since junior high. 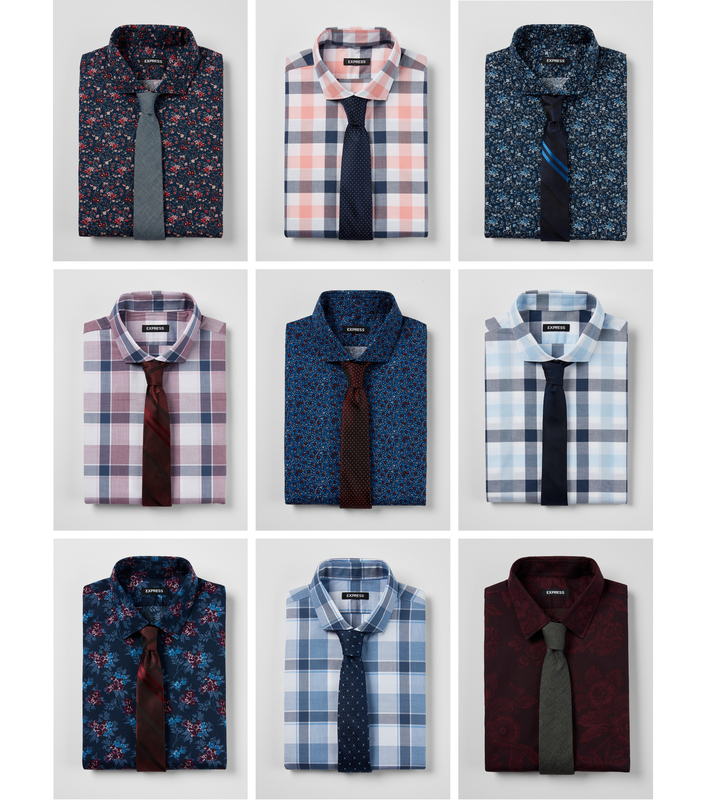 Nowhere is that more evident than with shirt and tie combos, where you can run on autopilot for years with the dad de rigueur red silk tie and blue cotton shirt. And it’s easy to see why. Sticking to familiar, tried-and-true schemes takes the guesswork out of getting dressed, which is the least we want when we’re running late to that morning meeting or coffee date. But hear us out: buzzier combinations that break the vicious khaki-and-blue cycle are style risks worth the reward, ones that speak to your confidence and willingness to take chances. One of the easiest ways to take your nine-to-five fit to a 10 is by swapping your homogenous staples for some busy-but-tasteful textiles. Follow the below guidelines, and you’ll elevate your shirt-and-tie game to glorious new heights—without having to steam a white button-down for the umpteenth time. The unwritten menswear rule is that your tie should be darker than your shirt, but that maxim’s a bit trickier with ornate styles. Even so, approximate the color of your tie to the darkest tone of the vertical or horizontal band of your shirt—too light or bright of a shade draws unnecessary attention to your chest and disrupts the visual synchrony of your fit. With that, it’s not an absolute hard-and-fast rule to follow, especially when throwing on a floral shirt or bringing weightier numbers, like wool or denim, into the mix (more on that below). Think of your tie as being like glue: it brings everything together, but does so inconspicuously. The old saying opposites attract? It applies here, too. Not only is it critical to contrast color but scale, as well. For example, make sure the pattern on your tie isn’t identical in dimension—both in spacing and in width—to the bands on your shirt. If there’s too much uniformity, your shirt and tie will compete with, rather than complement, one another. As with anything in life, moderation is key. If your sleeves are splashy, offset them with a more understated neck piece, and vice versa. Pair a plaid or floral shirt with subtle polka dots, restrained stripes, micro checks, or even a monochrome (the latter of which works especially well with botanical button-ups). Again, you’re using style to show your voice—one that says you didn’t get dressed in the dark. 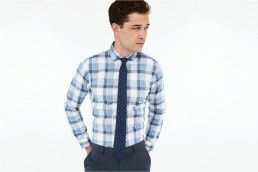 Cotton and silk are, generally speaking, the default tie fabrics. But if you’re going big with your shirt, see it through all the way to your half-windsor, too, with fabrics that evoke the spirit of the season. It’s as much about aesthetics as it is function. Plaid and florals already smack of the outdoors—or, at least, a willingness to roll up your sleeves—so your tie should suggest a workhouse quality as well. Chambray is a reliable go-to for transitional stretches like late summer and early fall, while beefier cuts like wool and denim will go toe-for-tone when temps dip. In this case, putting on extra weight is a good thing.